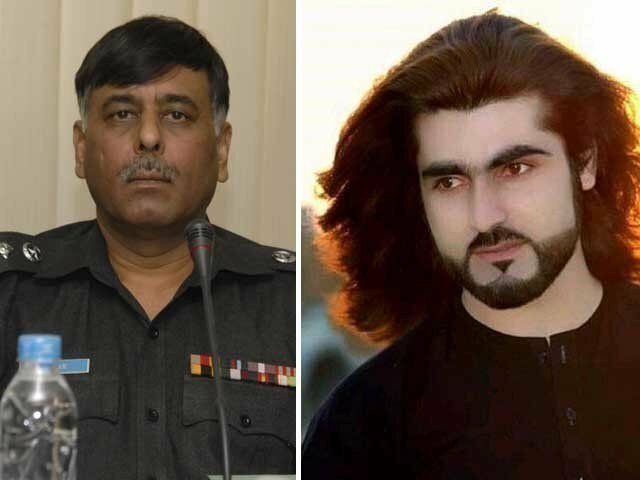 ISLAMABAD: Chief Justice of Pakistan (CJP) Mian Saqib Nisar on Thursday grilled Sindh Inspector General of Police AD Khowaja over his failure to arrest former SSP Malir Rao Anwar in connection with the extra-judicial killing of North Waziristan native Naqeebullah Mehsud. A three-member bench of the Supreme Court, presided by the chief justice, was conducting a suo motu hearing on the murder of 27-year-old Mehsud, who was gunned down allegedly by Anwar and his team in a fake encounter. The chief justice questioned Khowaja what his force was doing when Anwar attempted to flee the country before going into hiding. The court reminded the Sindh police chief that it had put its own neck on the line to keep him in the job. Khowaja, in his defence, said: “We are using all our resources to arrest him but Anwar has switched off his phones and he knows all the tricks to catching a suspect. “What would writing a letter do?” Justice Nisar countered. The Supreme Court directed ISI, MI and IB to provide support to police in arresting Rao Anwar. “It would be better for Rao Anwar to present himself before the court otherwise proceedings of contempt would be initiated against him,” remarked the bench. In response to being asked as to when he would produce the suspect before the court, AD Khowaja said that he would try to bring Rao Anwar before the court the next day. Naqeebullah’s cousin Noor Rehman questioned the judge as to how witnesses could feel safe when Rao Anwar was still at large. Noor Rahman wondered how Rao Anwar could evade the police and the state considering that he was not as powerful as the aforementioned. “The apex court had given a deadline of three days to police to arrest Rao Anwar,” complained Noor Rahman. The chief justice urged Noor Rehman not to return from the court disappointed and stressed that the reality was that Rao Anwar had yet not been arrested. The chief justice remarked that when the courts issue judgements in every case then it is referred to as ‘judicial activism’. Justice Saqib Nisar urged IG Sindh to take every measure to arrest Rao Anwar and warned that the suspect may flee to another country whenever an opportunity came his way. The chief justice asked IG Sindh whether Rao Anwar was at a place where the police could not locate him to which Khowaja responded that if the suspect’s location was disclosed then he could be arrested from anywhere. “Once the SIM is taken out of the phone you cannot put a trace on it,” said Khowaja. The chief justice stated that Rao Anwar was in contact with media via WhatsApp to which IG Sindh responded that the suspect had turned off his phones from January 19.